Posted 24 February 2011 in Uncategorized. Thanks to the generosity of designer Alex Jay, the Kirby Museum now has a copy of Ragnarok 2 in its collection. Among other features, this fanzine contains Tom Fagan’s review of the 1972 New York Comicart Convention, which Jack Kirby attended, with accompanying photos. Ragnarok 2. Publisher – Mark Collins: Orange, New Jersey, USA. Posted 20 February 2011 in Uncategorized. 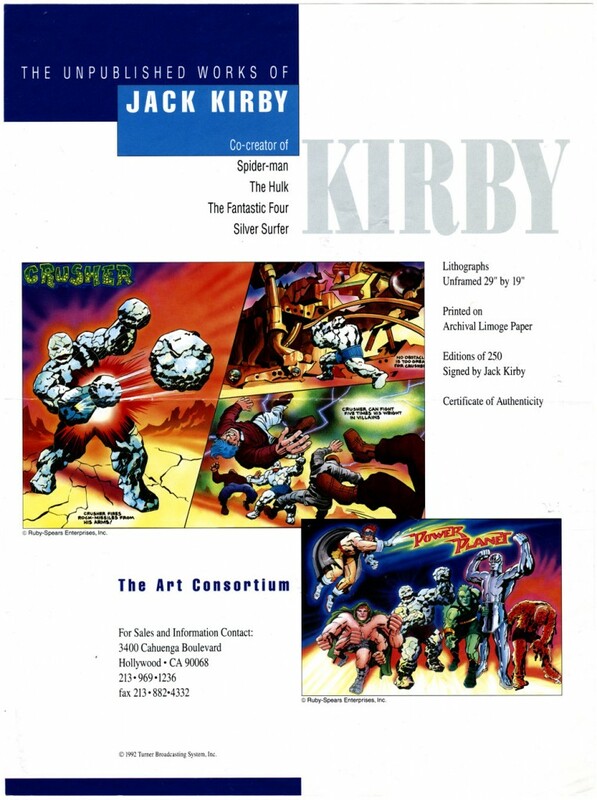 I recently came across this one-sheet in my personal files, in a folder called “Kirby Interview” – from 1992 when Andrew Mayer and I interviewed Jack Kirby at the San Diego Comic-Con. The lithographs are featured in Jim Cardillo’s gallery at Comic Art Fans.